We have all hassled to get our bikes in the trunk. It is a stressful endeavor that involves putting the back seats down and pushing your bike in, and God forbid you to have to transport two bikes because you will not be closing the trunk. 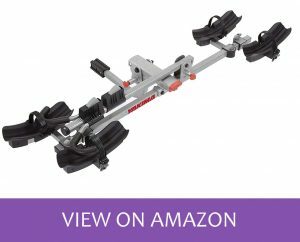 Why the trouble when you could grab a bike carrier and transport your bicycles fast and easy? Finding the best bike rack is not the easy part, but once you get down to it, it will save your time and energy as they need simple installation and you are off to a smooth trip. Whether you are looking for the most secure bike rack for your sedan or one that goes with your SUV, we’ve got you covered. Our article delves deeper into the best bike racks, and we’ll also give you a brief buying guide to help you pick the most ideal brand. Here are the 10 best bike racks you can buy today. 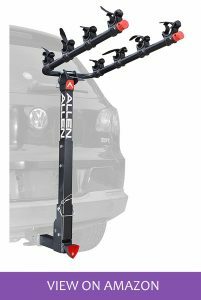 The Allen Sports Deluxe Hitch bike rack is a top pick for transporting your bikes to camping sites and competitions. 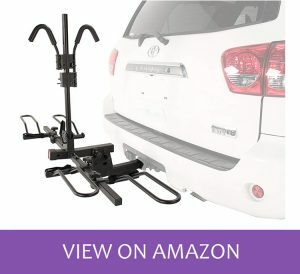 It is a hitch type rack that installs fast and easy using your SUV’s 2-inch receiver hitch. You do not need any tools to install the frame which saves your energy if you are in a hurry to start your trip. We like that it secures completely, so you won’t be dealing with wobbling bikes that could fall off your car at any time. Allen uses their patented tie-down design to ensure your bikes stay put throughout the journey. It can store up to four bikes, which is thoughtful when going out on a family excursion. Allen wants you to experience simplicity thanks to its folding carry arms that will also fold away when not in use. They come in handy when you want to access the trunk, and you have already installed the rack ready for use. This rack can be locked to give your bikes additional security. You will have two keys for just in case you lose one. It is one the best bike racks to buy. 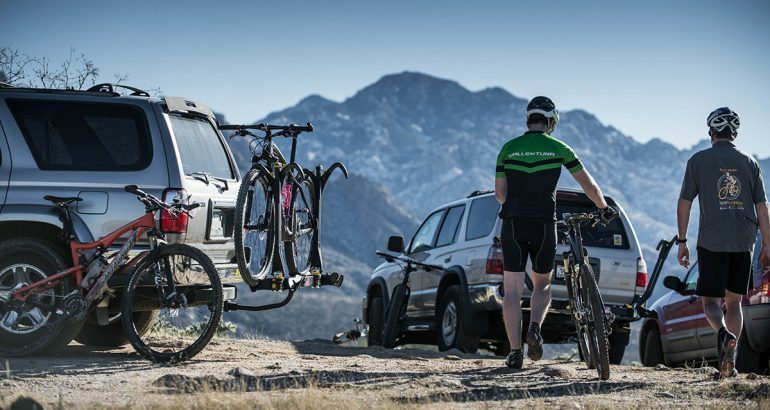 The XC Cross-Country Bike Rack is a portable bike rack that expresses versatility. Whether you have a BMX bike, full suspension bikes, or kids bikes, this model will provide a secure and tight setup on the rack. You do not need to remove any wheels as the platform style offers ample space for two bikes. This rack will install into a 2-inch receiver. 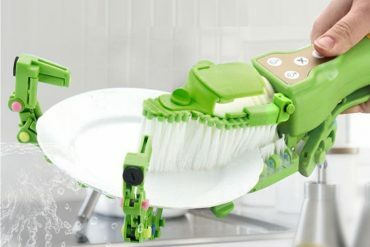 It comes with an anti-wobble device that ensures it fits tightly and correctly. The cushioned hooks adjust to accommodate different size bikes that’s why we say it is highly flexible. What’s more, the frame grip arms come with a frame-friendly finish that is soft to protect the exterior of your bikes. At only 5 pounds, this is one of the lightest bike racks you will find. It can fold away when not in use. And when it is installed on the rear of the vehicle, the center arm will fold down when you want to access the trunk. It is definitely one of the best bike racks for cross country races. Featuring a heavy-duty design, the Hollywood Racks Sport rider is your best bet for bringing along electric bikes. Since they can weigh over 50 pounds, you don’t want to be guessing whether your rack will hold up or not. This bike rack can support up to 80 pounds per bike. 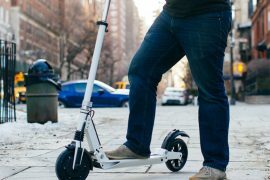 It can accommodate both the front and rear wheel, and you get to choose whether you want one for 3-inch tires or for fat tires that are up to 5 inches wide. The rack can tilt down when installed to allow cargo access. It’s not one of those where you need to remove the whole system just to get something you forgot to pick from the trunk. And even when it is not in use, it will fold up flat such that the car will be neat even without carrying any bicycles. This rack includes a keyed alike hitch pin to allow for tight installation on to the hitch receiver. You will also not be buying a cable from the store as it comes with an 8-inch cable to provide additional safety. The extra accessories are what makes this model one of the best bike rack to buy for electric bikes. Are you always hassling with space inside your garage or do you live in a small apartment? Part of the everyday struggle is knowing what to prioritize when storing your items, but the big things like your car always occupy the most significant space. Grab the Steadyrack Classic small bike rack and never have to worry about where to store your bike. 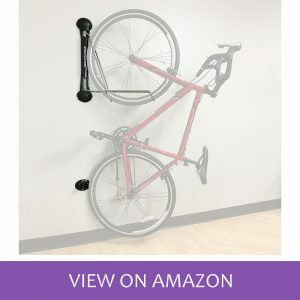 It is the best bicycle rack for the garage as it can be installed neatly on the wall and hang your bike without taking it apart. It can fit a bike with a width of up to 2.4 inches and with tire diameters from 20-29 inches. With a weight capacity of 77 pounds, this bike rack is an excellent solution for crammed up spaces. Storing your bike is as comfortable as rolling the front tire into the rack without lifting. 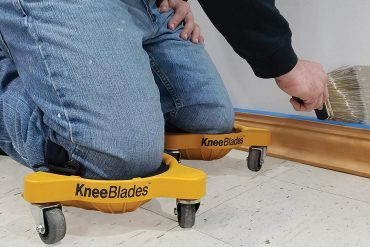 It offers a soft landing so that your bike’s frame will not come into contact with the bike’s frame. This means it will be protected from scratches when in storage. The rack folds up when it’s not in use, but it remains accessible. It is a superior storage solution that we can’t wait for you to try. The Hollywood Racks Over-The-Top Trunk Mounted Bike Rack is as the name suggests. It will mount on top of the trunk. This bike rack comes pre-assembled to provide simple installation. 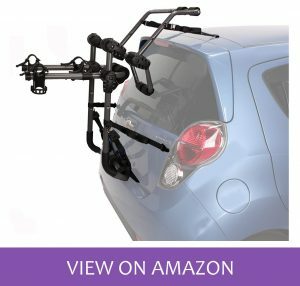 It uses patented technology that prevents the rack frame and the straps from making contact with wind deflecting spoilers of your SUV, Hatchback, Minivan, and Sedan. It will also work with HondaFit, Lexis RX350, etc. The anti-sway bike cradles are essential to keeping the bikes separated while the frame stays rigid on the car. This means your bikes will never get in contact with each other. You will like that it has adjustable straps that make it flexible to use with different sized bikes. This bike rack comes with a tie-down strap that provides additional security. This way, the rack will always be attached to the roof rack cross bars, trunk, hatch, or raised roof rack rails. This bike rack will fold for storage. 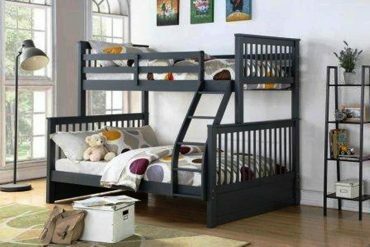 Now you don’t need to deal with an over-sized rack when you are tight on space. Get this rack and have a smooth time using it and storing it. Have you been wondering about the best bike rack to take your kids bike and an adult’s bike at the same time? You got it with the Yakima Two Timer Hitch Rack. It is designed to fit bikes of all shapes and sizes thanks to the versatile wheel cradles. It will accommodate women bikes and models with full suspension while offering complete security. Access the rear fast and easy especially when you want to sneak in last-minute items. It will tilt down even when the bikes are mounted so you can lift the trunk. Like other hitch racks, it will also fold up to create a nice rear when bikes are not mounted on it. The padded arms on this rack are crucial in keeping your bikes free from scratching. They also keep your ride safe in case of bumps in the road. You will love that it can work with most cars since it can be installed into a 1.25 or 2-inch hitch receiver. 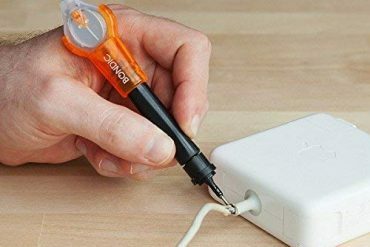 It saves you the trouble of looking for adapters. The Expedition Trunk Hitch by Hollywood Racks attaches to most cars with the help of six attachment straps. It will stay secured to the vehicle such that your bikes will not risk falling off in transit. This is the kind of rack you pick when traveling for long distances through rough roads. It has anti-sway bike cradles that work to keep your bikes in place. The adjustment hubs are not only easy to use, but they also come with a quick release lever. This allows for leveling of the bike in multiple positions as well as 180-degree rear brace rotation. You will be able to fold this bike rack flat for storage. The bike cradles are an excellent feature of this best bike rack. They have a soft finish that ensures your bikes’ frames stay scratch-free. This bike rack comes pre-assembled. It only needs attaching to the trunk, and you are good to go. Even the best bicycle racks in terms of convenience come with inhibitions to accessing the trunk. 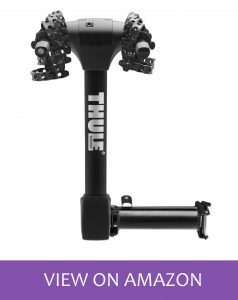 This Thule bike rack has a patented swing-away design that will get out of the way even with a fully loaded rack. It swings to the side of the car, such that you load and unload stuff, not like the tilt down models that only allow picking a few stuff because of the restricted space. The arms will fold when not in use giving it a pretty exterior when attached to the vehicle. With the integrated cable lock, it is no wonder the best bike rack since it hides away to make it less obvious to anyone looking to steal your bike. 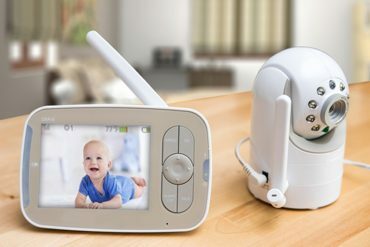 In case you notice any wobbling, you can add the snug-tite receiver lock that keeps it locked and tight at all times. It explores a cushioned cradle which is a welcome addition for protecting your car and bikes exterior. 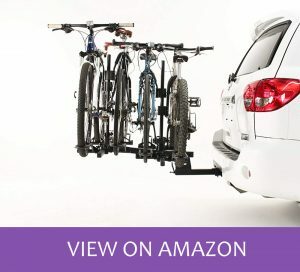 Yakima top car bike rack is a great pick for most bike sizes. It will not require removing the front wheel of the bike which makes it easy to mount the bike for transport. It will also not make any contact with the bicycle meaning it will not risk any paint scratches. If you have just completed a paint job on your bike, there’s no better way of keeping it sleek by keeping it safe during transport. The rack follows a low-profile design that will not interfere with the hatch. It works perfectly when you have a short car and a heavy bike that may not be supported by regular rear bike racks. To install this rack, you will need regular hardware that is easy to find. No extra tools or attachments will be required. You can use an SKS lock to secure it to the body of your car and use another lock to secure your bike to the hitch. This way, both the rack and bike will be safe at all times. 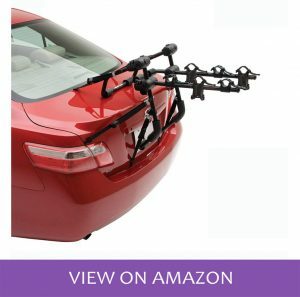 If you are looking for a roof rack, this is the most sought best bike rack in this category. The SE HR1400 is perhaps the easiest rack to use as it comes ready for install right out of the box. 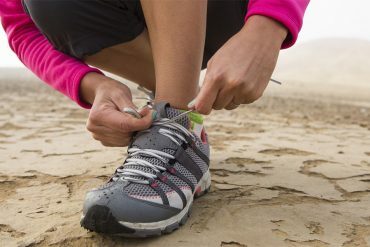 It will set up easy even on a busy morning when getting ready for that awaited yearly cross country. 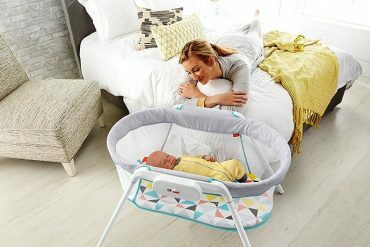 It has a no-wobble design that will not need any tools to install. With the keyed alike locking hitch pin, this rack will always be secured to your vehicle at all times. You will also get the 8-inch cable that allows for locking both bikes to the rack. This model will also fold down when accessing the rear and also fold flat against the car when it’s not in use. 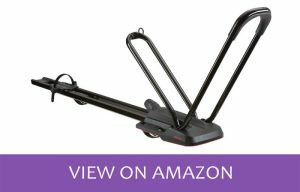 You will appreciate that this bike rack will support heavier standard bikes at up to 50 pounds per bike. The easy-to-use lever comes in handy to release the frame clamps when adjusting your bikes. It will be useful if you plan to use it with different-sized bikes. Plus, the clamps are padded to protect the bike’s coating. Even at the high-end price, this is one of the top bike racks today. ⇒ “Which bike rack should I buy?” or from where to buy a bike rack?” are probably the questions ringing in your mind while going through numerous models on the market. If you will be using your bike as a pastime exercise during your trips, you will need to know how to bring it to your trip with minimal effort. Hitch Racks: These are the most popular bike racks. They will not interfere with the trunk’s access since they usually have a tilt feature. These racks can be adapted to carry more gear like snowboards and skis. Roof Racks: Roof racks are mostly applicable if you have a short car. 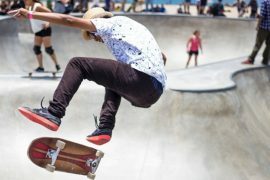 They are much better if you want to carry more equipment like surfboards and camping gear. They will bring more bikes and accommodate more weight especially if you own heavy mountain bikes. Trunk Racks: Trunk racks mean that you won’t be lifting the bikes too high. 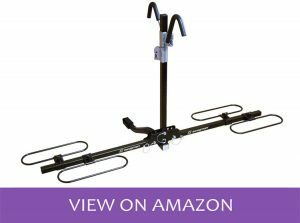 If you have weight lifting restrictions, this is the type of bike rack you will want to own. It is cheaper than a roof rack, but it has limitations to how many bikes it can carry. The features of the bike will also determine what bike rack you should buy. This includes things like the wheel size, weight, and frame material of the bike. You will also need to look for a locking feature to secure your bike to the car. This prevents theft especially if you are carrying your bike to a competition where there will be hundreds of bikes, and it’s easy to lose a bike. We hope you now have it easy picking a bike rack. This list has combined some of the best bike racks that will satisfy your needs. We have selected only the models with incredible features including easy installment, robust frames, and versatility. Don’t hassle with your bike. Next time, pick one of the best bike rack.